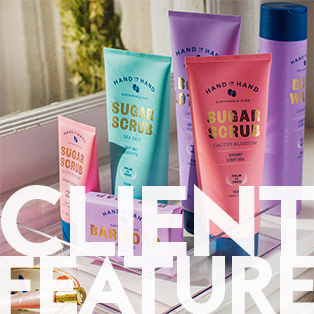 PIDC client, Hand in Hand, is a beauty & body care company that produces natural, vegan, cruelty-free, palm oil free products, including bar soaps, body wash, sugar scrubs, and lotion in signature fragrances. Eight years ago, Hand in Hand Founder, Bill Glaab, and his wife, Courtney Apple, started the business in their home then grew it from a small facility to a large warehouse in 2015. Bill realized expansion on all levels was needed to continue to succeed. That’s when the company sought out the help of PIDC. “We approached PIDC [for financing] in 2015 after I completed the Goldman Sachs 10,000 Small Businesses program to consolidate some aggressive high-interest debt, hire new employees, and generate working capital to invest into inventory,” said Bill. Hand In Hand has continued on a high trajectory with tremendous growth. By 2017, the company outsourced production to large-scale manufacturing companies in the U.S. and moved to a formal office. “In the four years since PIDC loaned us the money, Hand in Hand has pivoted from selling to a few hundred small independent boutiques, to gaining shelf space at thousands of locations with Best In Class retailers such as Target, Ulta Beauty, Kroger, Whole Foods, Bloomingdales, and more, with revenue gains of over 1,400%,” said Bill. 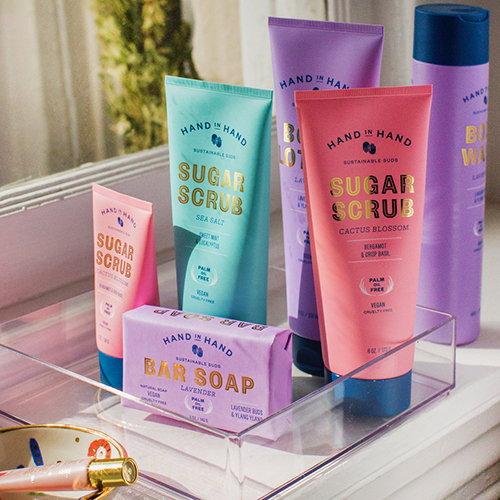 With the additional growth, Hand in Hand plans to triple its employee base in 2019. Over the years, the company has gained further national attention, through features in BuzzFeed, Martha Stewart Living, Real Simple, and Vanity Fair, to name a few. 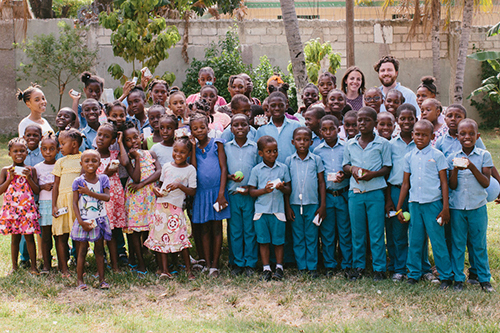 Not only has the company grown, but it is also making a worldwide impact by giving a helping hand to others. 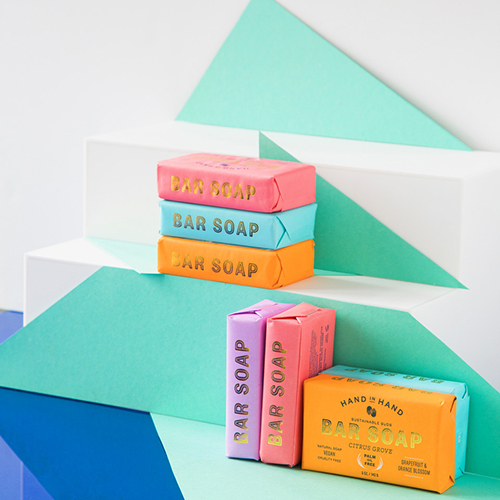 “Hand in Hand donates one bar of soap and one month of clean water to children in the developing world for every product sold. 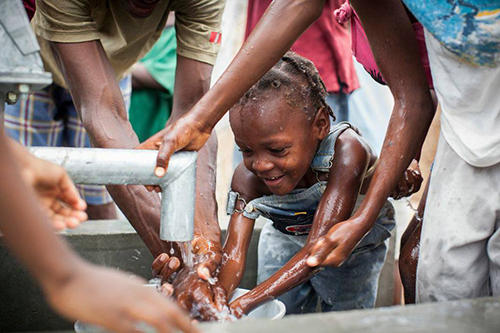 Over one million bars of soap have been donated to date, in Haiti, specifically,” said Bill. The idea was sparked as a solution to prevent constant illnesses in children as a result of contaminated water by providing soap and clean water to those in need. Learn more about PIDC’s Working Capital & Equipment Loan.